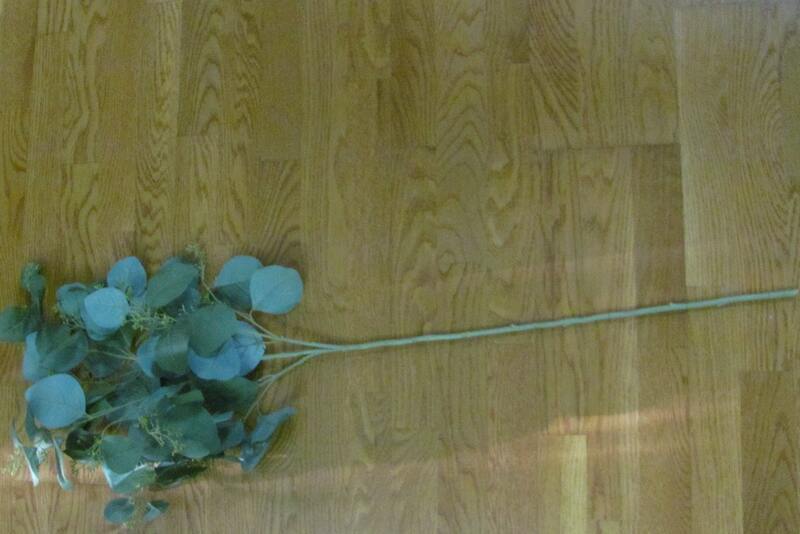 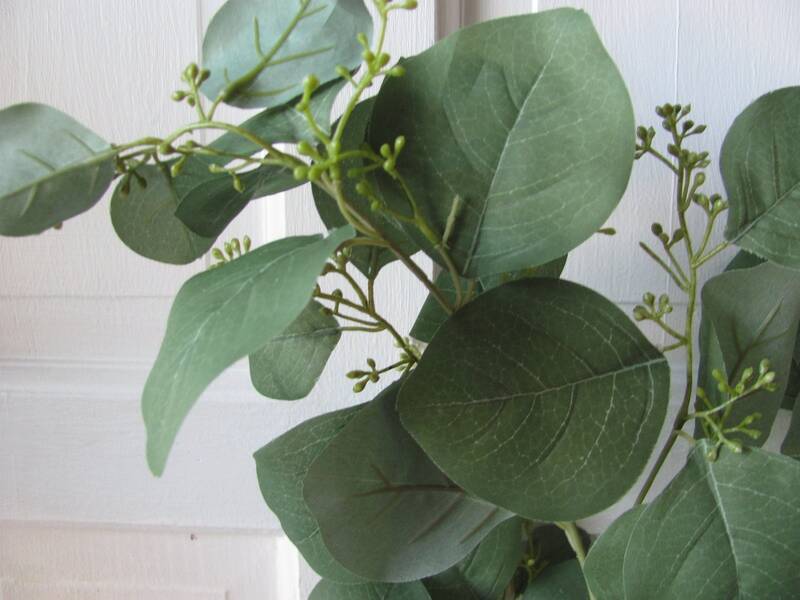 1- Eucalyptus branch. 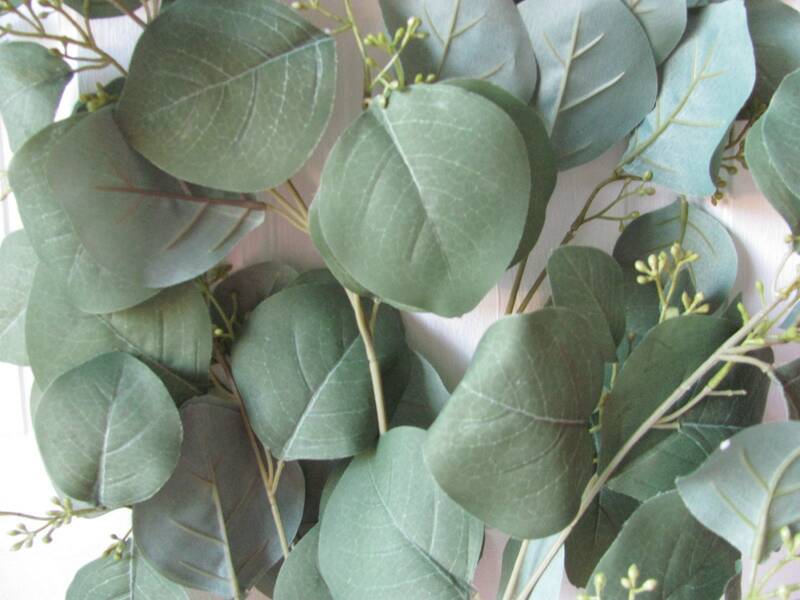 Simple artificial seeded silver dollar eucalyptus has an amazing way of bringing understated elegance to any space. 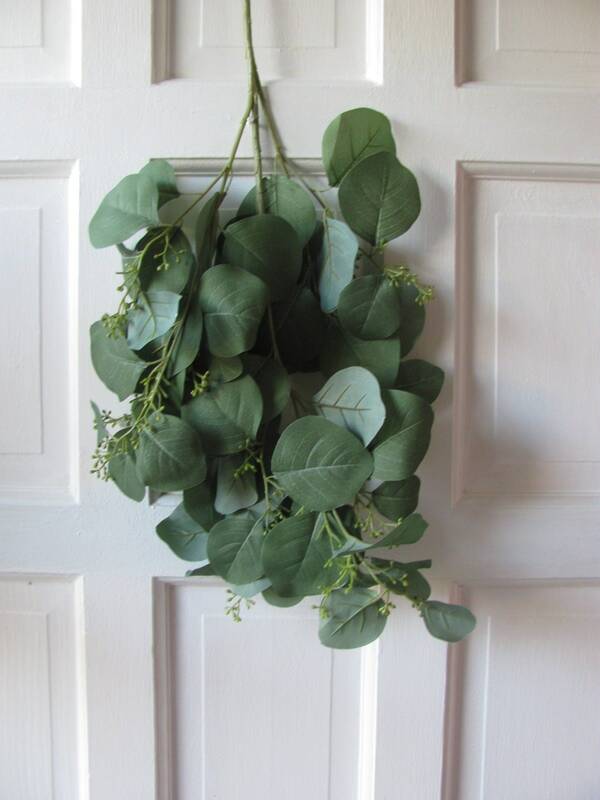 A popular green for weddings, this faux version affords you the flexibility to display this botanical favorite year-round! 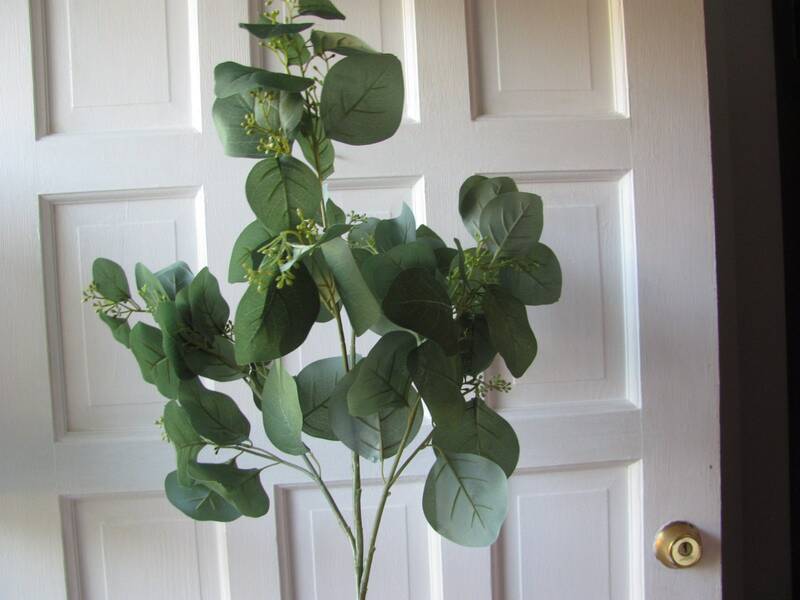 Each Stem Dimensions:	Leave part is 16"Long x 6" Wide x 42" in height which includes leaves and the stem.